Once upon a time, a mansion stood at the corner of Clark Street and Monroe Place in Brooklyn Heights. Built in 1872, it was stately and corniced, bedecked in stone scrollwork and intricate ironwork, a credit to its architect. Its more recent history has been far less illustrious, however. Beginning in its second century, bricks began to give, its mansard roof and top floors disappeared, and today the once-grand home is unrecognizable. 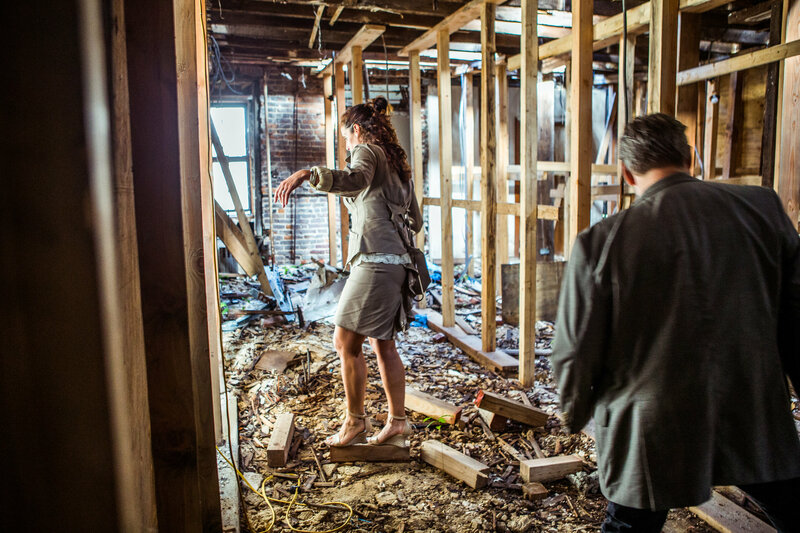 The interior is filled with rubble; plants sprout from the floorboards. But the New York City Landmarks Preservation Commission recently approved building plans that will give the mansion a second chance — it will get not so much a face-lift as a whirl in a time machine. The approval wasfirst reported by the real estate blog New York YIMBY. A replica of the 19th-century mansion will be rebuilt around the shell of the building, a painstaking re-creation by architects who have spent months poring over archival photos, counting the bricks in each black-and-white image in an effort to resurrect what was lost. In a city of churning newness where quaint blocks often give way to glass and steel, the mansion, at 100 Clark Street, will join other similarly recreated buildings that hide in plain sight, hewn of modern materials and methods but quietly clinging to the past. 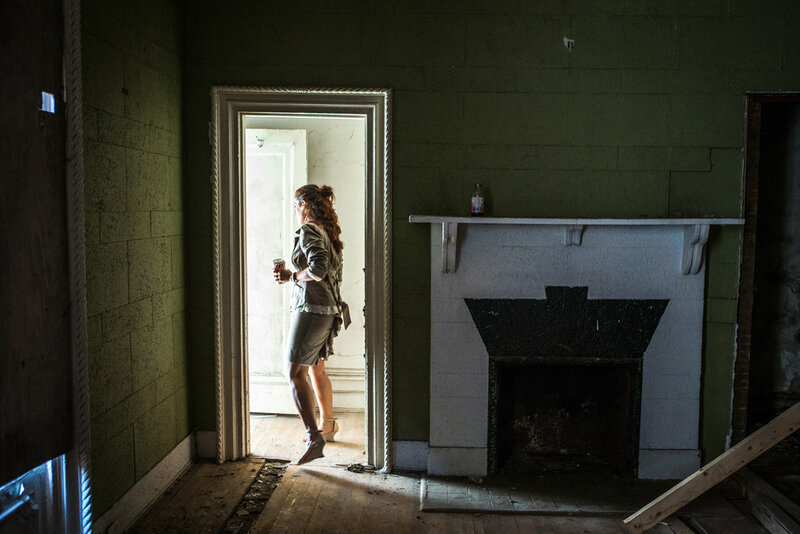 Ms. Streicker Porres knows something about making the old new again. In 2007, the facade of another building she owns, 84 Bedford Street in the West Village, fell off, two years after she bought the neglected structure. Today it is rebuilt to the Prohibition-era standard that the landmarks commission insisted on. 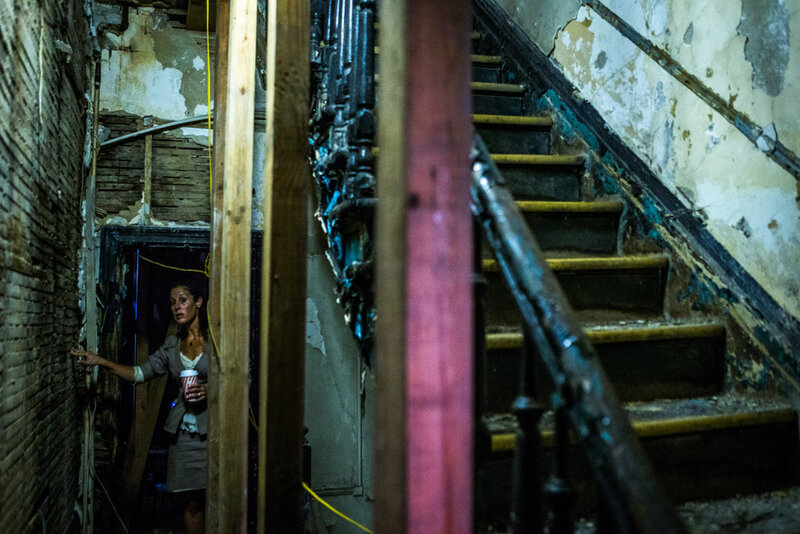 To help her this time around, Ms. Streicker Porres has hired Tom van den Bout, an architect and Brooklyn Heights resident who has borne witness to 100 Clark Street’s sad plight. 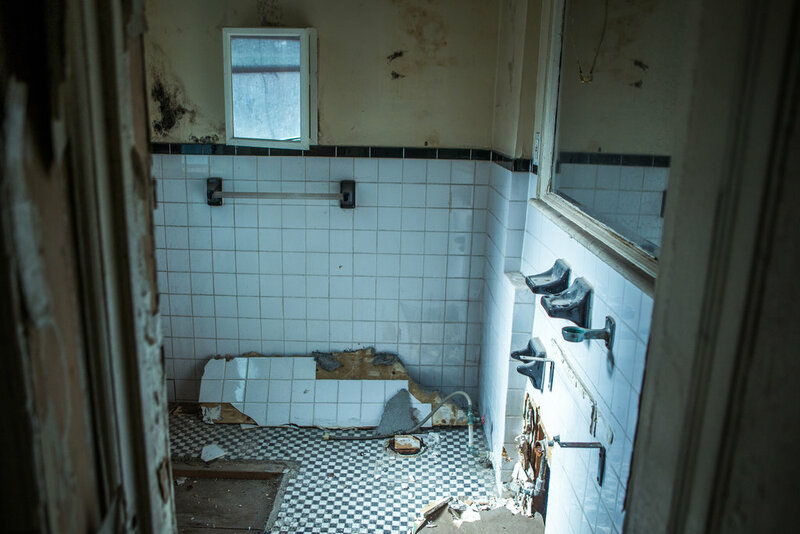 During Memorial Day weekend in 2008, two years before Ms. Streicker Porres bought the property, Mr. van den Bout was summoned to the building by a distraught local resident: It was being dismantled. A neighbor had made an emergency call to the city saying the building seemed on the verge of collapse. 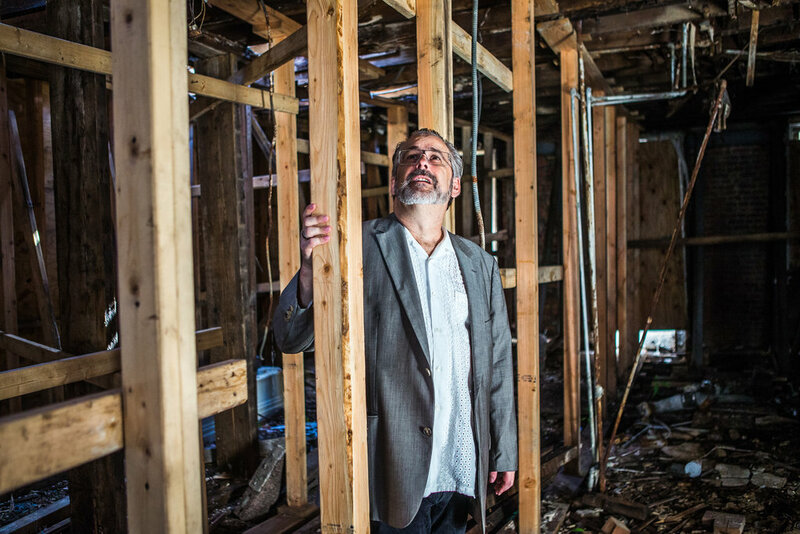 The city determined that the top two floors had to be removed urgently to stabilize the structure, according to a spokesman for the Buildings Department. By the time Mr. van den Bout arrived, the workers were halfway done and a wall was missing. 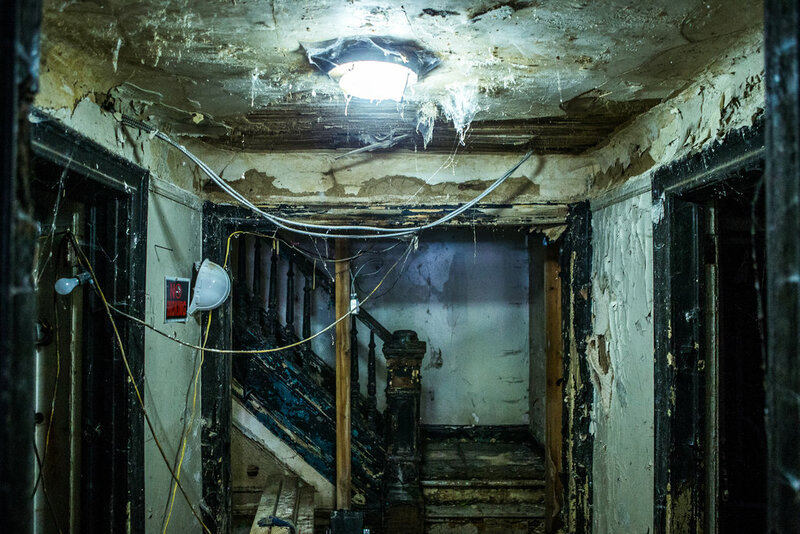 For years afterward, the patched-up building decayed on the block as its previous owners waded through a series of battles with residents, zoning laws and other issues, until they sold it — and the accompanying legal morass — to Ms. Streicker Porres. She has spent the past six years straightening out its issues, slowed by the often thorny permitting process of building in a landmark area. She said the historical re-creation, more expensive than razing the structure and building anew, was the result of such negotiations. So, for the past three months, Mr. van den Bout and a team of architects have been studying the two archival photos that are clear enough to see the mansion’s graceful details, including one retrieved from the depths of the New York Public Library. It shows the building in its splendor, a confection of corniced rooftop and colonnaded window frames. It is from these few historical records that the team has created a blueprint for the building’s rebirth. They have counted bricks to calculate proportions and studied the set of the stoop, which went missing long ago, to match the original. The new building will be anchored in steel and wrapped around the current structure. This reconstruction differs from others, Mr. van den Bout said, because of the absence of many physical reference points. The mansard roof is gone, the top floors are absent and the windows have lost their detailed edging. There is almost nothing left to go by. Other such re-creations exist in the city, but they are hard to spot — which is really the point. Nearby, the brownstone at 36 Grace Court is almost identical to its neighbor. It is another of Mr. van den Bout’s projects: The antique-looking facade is brand new, having replaced a 1950s facade of glass and steel. In Harlem, a former bank building known as the Corn Exchange on 125th Street gained a new life after its upper floors, lopped off after years of dereliction, were restored in 2014. The decision to recreate 100 Clark Street was based partly on aesthetics and partly on a financial motive. Ms. Streicker Porres plans to carve out several apartments in the building, including a triplex. By using the existing footprint, rather than knocking down the building, she is able to build a larger structure than is allowed by zoning rules. “I think the imperative of architecture and cities is to move forward, not backward,” she added.